It is twenty-five years since the Bicentenary of European settlement was extensively celebrated in the Hawkesbury, community events which many residents remember vividly to this day. Historian Jan Barkley Jack will look back at that time in 1994, and how knowledge has increased and attitudes changed since then, at the next Hawkesbury Family History Group meeting on Wednesday, 10 April. 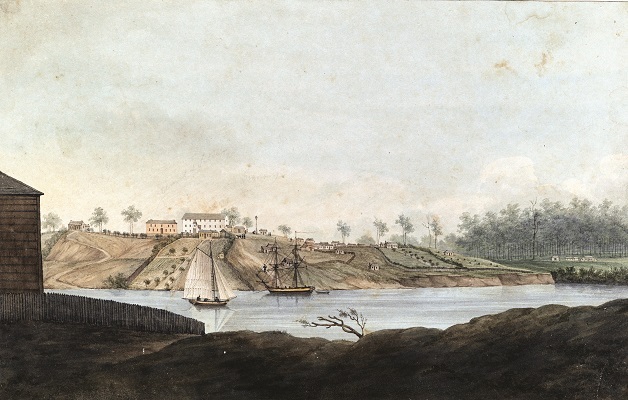 The colonisation in 1794 saw settlers moving into the Hawkesbury in earnest, with over 100 allotments promised that year, with 85 settlers actually farming along the Hawkesbury River. The number of farms continued to mushroom each year, but as each farm displaced more Aboriginal clans from their traditional food and ceremonial sources, cultural tensions increased. In contrast, it has long been recognised that the original settlers were quite a homogeneous group of ex-convicts. Yet little is known of their personal interconnections. Jan will present her recent research which shows why this early harmony prevailed amongst the Europeans and she will shine a new light on these early networks. Jan has published a number of books, including Hawkesbury 1794-1994, co-authored with Michelle Nichols, as well as a major book about the early European settlement here at Mulgrave Place. She coauthored the Bicentenary book of St Matthew’s Anglican Church with her husband, Ian Jack. She is a member of the Professional Historians Association of NSW, and she is currently working on a PhD as well as another book about the early district. Anyone interested in family history is welcome to attend the presentation. The meeting commences at 10am at Hawkesbury Central Library, 300 George Street, Windsor. There is no need to book and attendance is free.